Since the launch of iPhone models, the rage of buying iPhones and sensitiveness while using such hi-tech devices has been discovered among the Aussies. Whereas hundreds of new products have been sold in the past few years, it is less common to find a repair service that offers replacement or repair service at ease. 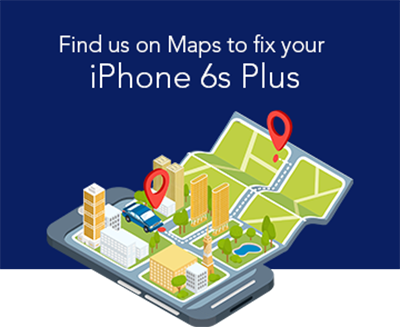 So, if you are owning iPhone 7 plus model then having a reliable iPhone repair service can definitely provide you with the peace of mind. Be it a charging port repair, speaker repair, front camera repair, rear camera repair, Mic repair, water damage repair, motherboard repairing solution, or other fixes; we are a one-stop solution for all. We at Mobile Expert provide iPhone 7 Plus Screen replacement in Brisbane that comes affordable and convenient. Be it a dodgy iPhone or shattered screen; we deal with all such problems to make your iPhone look and work like a new device again. Go through our repair services and choose one for quick and professional repair today. We are the group of experienced people to get the job done quickly and in a more hassle-free way. Even if the iPhone 7 Plus features are made of the strongest materials, crakes may happen, and our expert repair service uses high-quality tools and materials to replace the glass and LCD of your iPhone besides treating accidental drop, water damage etc. Our technicians treat the devices by flushing out the debris and replacing the damaged parts. Mobile Expert could be your one-stop platform to keep your phone in tip-top shape. Have you accidentally dropped your iPhone in water? Well, water damage requires you to decontaminate the logic board to avoid further issue down the road. Whereas water inside the phone can cause the short circuit, corrosion with the evaporation of water, if the device remains power on, it can accelerate the damage. At our professional repair shop, repairers open your phone, check your logic board to detect and resolve the damage. The battery is also replaced if it is swollen. Professionals recover your phone data and troubleshoot the motherboard. Here at Moblie Device Workshop we invest in state of the art equipment allowing us to provide motherboard repair services at very affordable prices. Mobile Expert have an Skilled Tech. which results in a very high success rate in repairing any type of printed circuit board. From simple sim card reader repairs to replacing IC’s and other SMD Components, we are the Brisbane number one in all smartphone and tablet motherboard repair services.